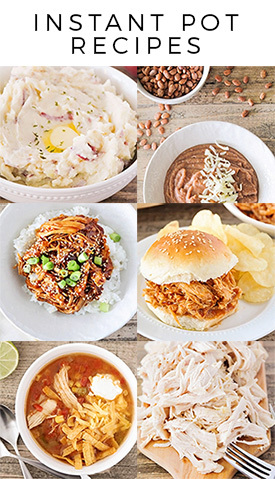 You know a recipe is pretty much the best thing ever if I post a picture of it on instagram one day and then post the recipe on the blog the next day. 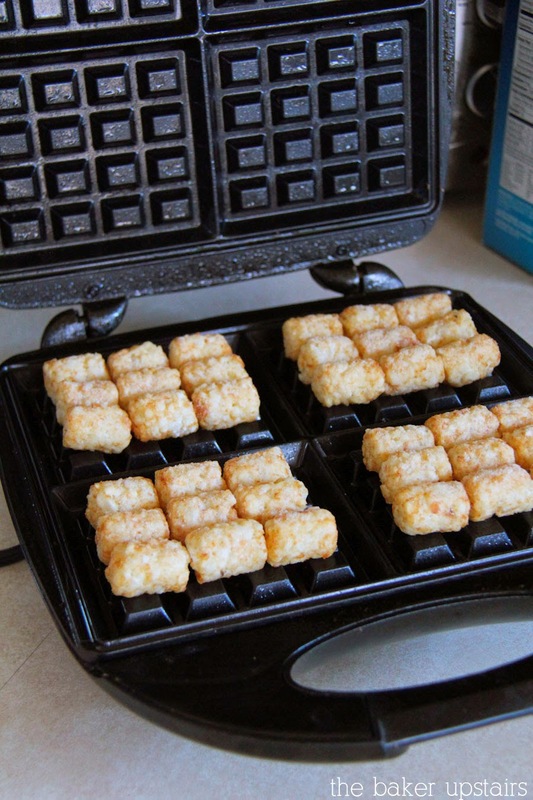 I usually try to write and schedule posts in advance, but every now and then I find a recipe that is so delicious, it just has to be shared immediately. 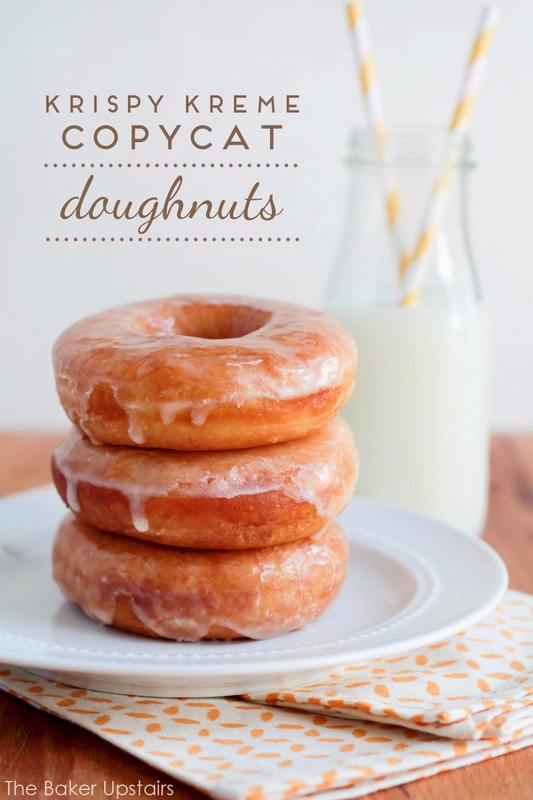 And these Krispy Kreme copycat doughnuts are just that! 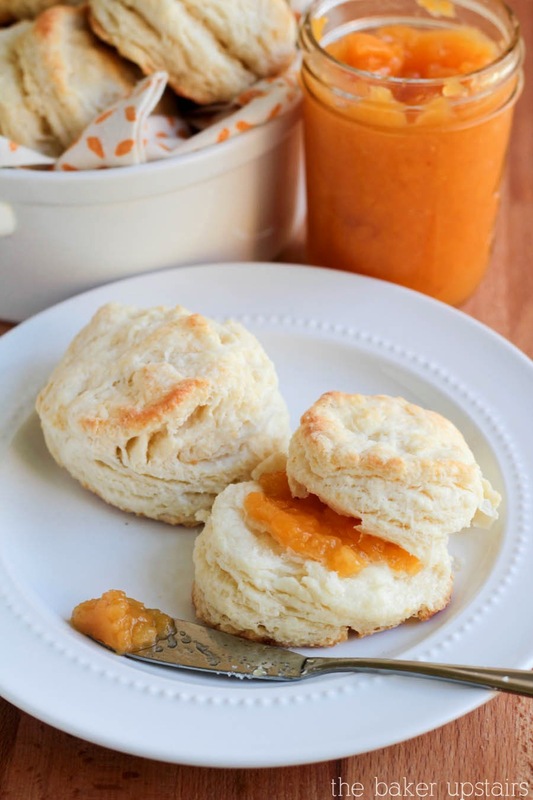 I would say that this is one of the top five recipes I have ever posted on this blog. I was very skeptical about my ability to make donuts that taste like Krispy Kreme, especially with my deep-seated fear of deep frying, but these are just perfection in every way. 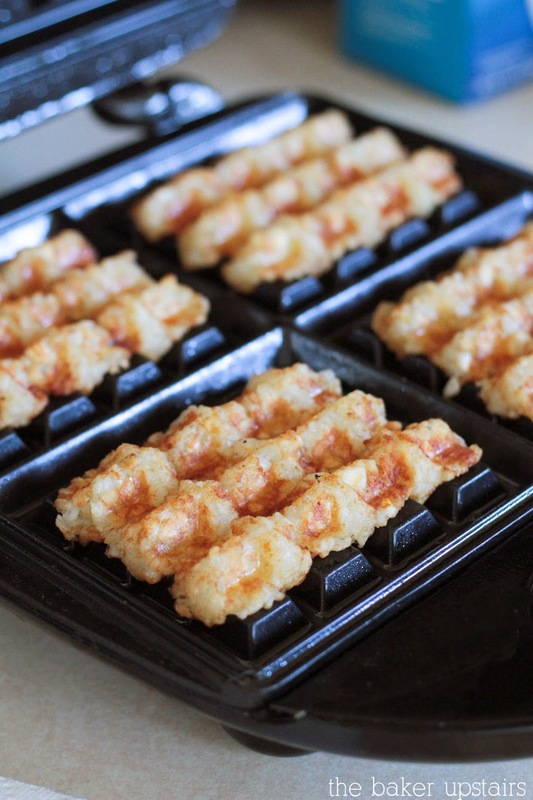 The texture is perfect - light and airy, with a lightly glazed top that crackles when you bite into it. And the taste is amazing… so flavorful and lightly sweet. Just the glaze itself was so delicious that I kept sneaking little tastes when I dipped the doughnuts. I think what was most surprising to me about these doughnuts was that they were actually very straightforward to make. The dough mixed up quickly and used ingredients I already had in the house, and the whole process was very simple and easy to follow. I've only made doughnuts a few times before but they've always seemed like a big production. Geoff and I made these together while listening to the Serial podcast (seriously so good and I am dying from the suspense of it all!) and the time flew by. I can't wait to make these again for pretty much every special occasion! In a large bowl or the bowl of a stand mixer, dissolve the yeast in the warm water with a pinch of sugar. Let sit until bubbly, 5-10 minutes. Add the sugar, evaporated milk, salt, shortening, egg, egg yolk, vanilla, and one cup of flour, and mix to combine. Add another cup of flour and mix to combine. Add the remaining flour, a few tablespoons at a time, until a soft dough forms. The dough should be soft and slightly sticky but should not stick to your finger when you quickly tap the dough. Place the dough in a greased bowl and let rise until doubled, about 1 1/2 hours. 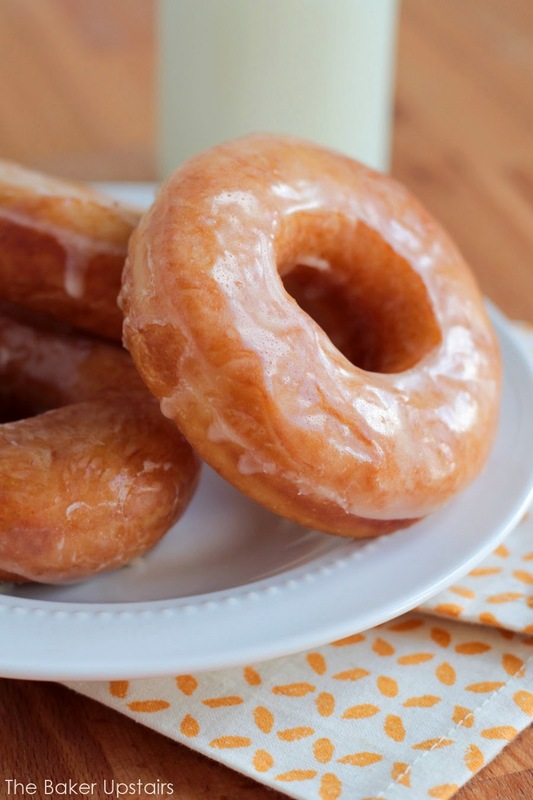 After the doughnuts have risen, preheat the oil in a dutch oven or heavy bottomed pot to 360 degrees. Be careful to keep the oil between 360 and 370 and adjust the heat on the burner or remove from the heat as needed. While the oil is heating, whisk together the glaze. Add enough water to make a smooth glaze with about the consistency of honey. 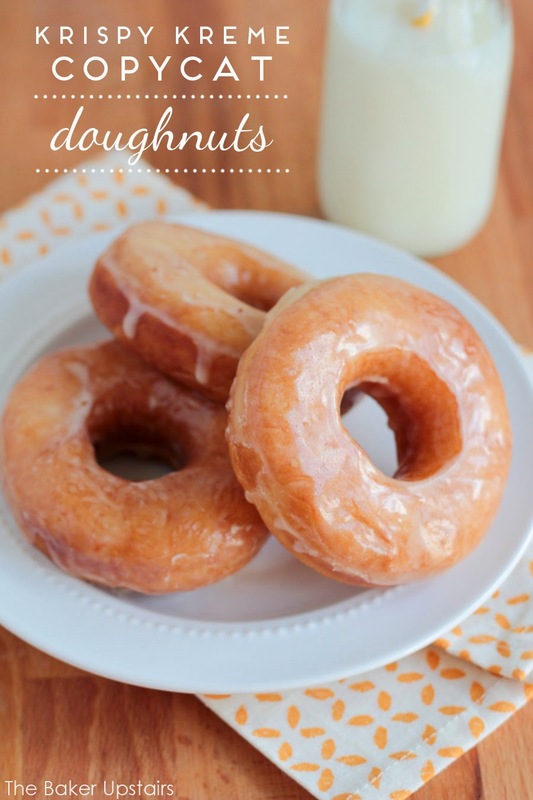 Fry the donuts a few at a time, turning after 2-3 minutes, until golden brown. Remove to a wire cooling rack lined with paper towels and let cool 3-4 minutes. When they have cooled slightly, dip the tops of the doughnuts into the glaze and then return them to the cooling rack (be careful not to burn your fingers like I did). Let cool and enjoy! Yeah, I totally can't stop with the one dish pasta meals/variations on mac and cheese. 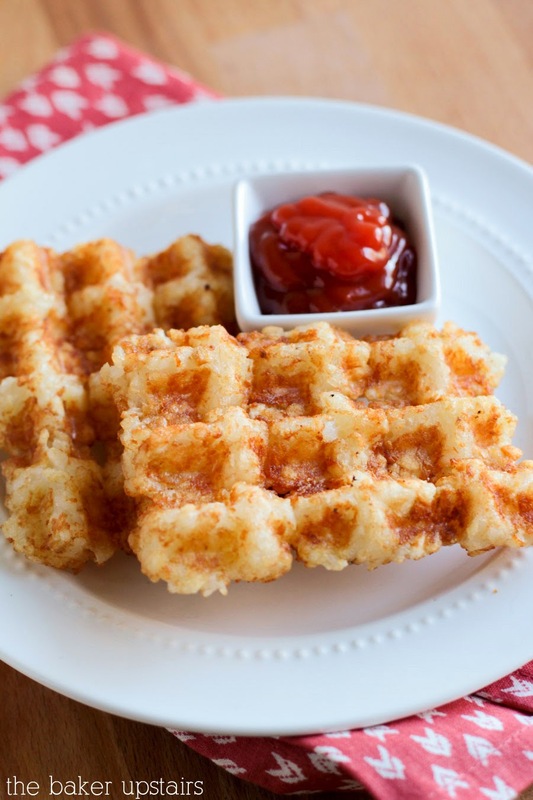 They're just too easy and too yummy! Sometimes it's nice to have a meal that I know the kids will eat without complaints. Plus there's just something so homey and comforting about a simple pasta dish. 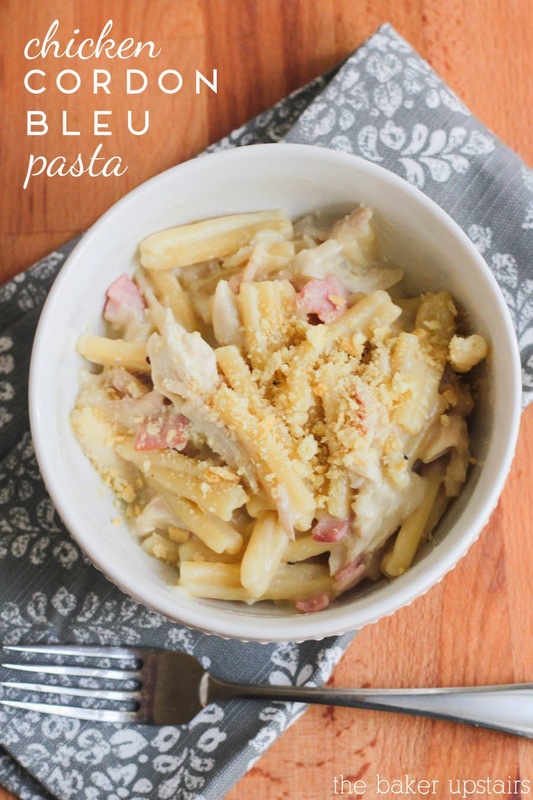 My mom used to make a creamy pasta with ham all the time when I was a kid, and it was my favorite for years. I've been craving chicken cordon bleu lately, so when I found all the ingredients for this little number in the fridge and pantry, I decided to give it a try. So delicious! I'm excited to have another fun and easy pasta dish under my belt for busy weeknights! Cook the pasta according to the package directions and drain. While the pasta is cooking, in a large skillet, melt the butter over medium heat. When the butter is melted, whisk in the flour to form a paste. Let cook 2-3 minutes until golden. Gradually add the milk, whisking so there are no lumps. Let cook for a few minutes until thickened, then gradually add the chicken broth, continuing to whisk constantly. Whisk in the salt and pepper, then let the mixture cook for a few minutes, until thickened to desired consistency. Remove from heat and whisk in the swiss cheese until melted. Return to heat and stir in the chicken, ham, and cooked pasta, until warmed through. Sprinkle with cracker crumbs, then serve. Enjoy! Why, yes, it is November, and I'm already posting a Christmas recipe! I know, I know… I'm all for letting Thanksgiving have its due, and I agree that things are getting ridiculous when the stores have Christmas decorations up before Halloween. But… when I start seeing those holiday baking supplies set up in the store, I just can't stop myself. It's a compulsion, really. 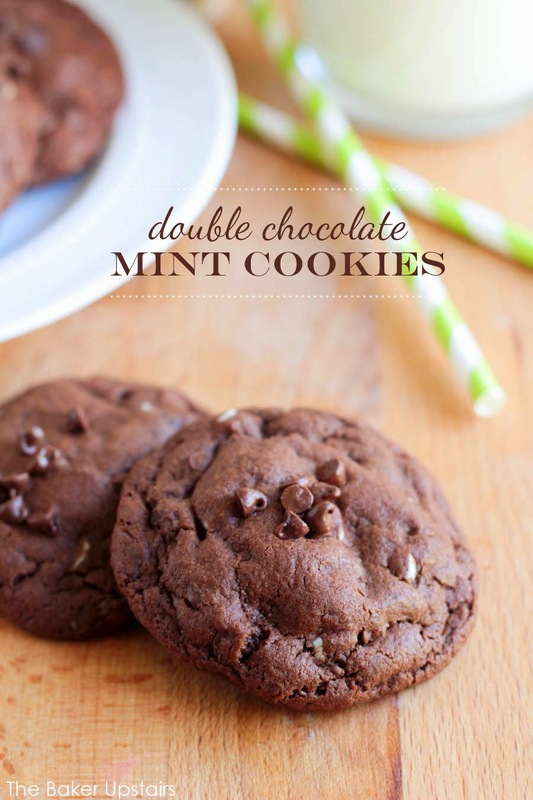 Anyway, these double chocolate mint cookies are super delicious, and it really wouldn't be fair not to share them with you right now. :) If you, like me, are trying to plan things out ahead of time for the busy holiday season, then these cookies could be a big help to you in planning a cookie exchange party or thinking up a yummy gift for the neighbors! 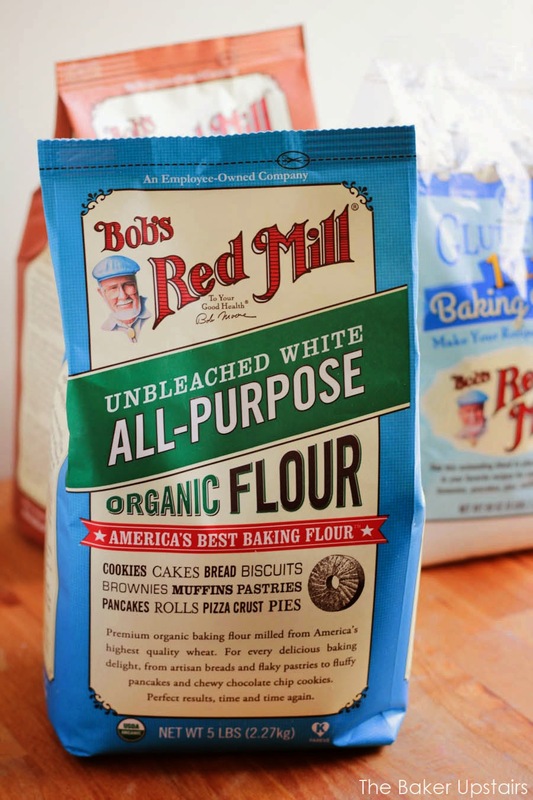 I was invited to create a holiday recipe using Bob's Red Mill flour, and was given some flour to try. I've used a lot of Bob's Red Mill products in the past, and I particularly love their whole wheat pastry flour. I was excited to try the organic unbleached white all-purpose flour in these cookies, and it definitely did not disappoint! I really like that it's freshly milled and not enriched with any additives (heaven knows there are way more than enough of those in our food already) and that it is professional quality, high protein flour. The flour has such a fine, even grind that it feels almost silky to the touch, and it is very versatile and easy to work with. I've been dying to try a chocolate version of my favorite sugar cookie recipe for a while now, and this was the perfect excuse. Armed with my awesome flour and some Andes creme de menthe baking chips, I created a luscious chocolate cookie that is soft and gooey, with just the right amount of mint. (My mint-hating kids both loved these, so the mint flavor is definitely not overpowering.) 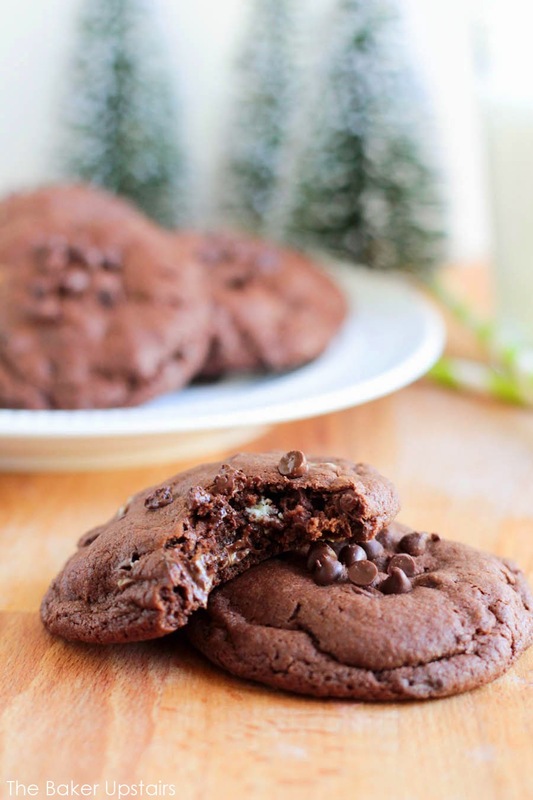 They're the perfect cookies for dipping in hot chocolate on a snowy day! Preheat the oven to 350. Line two baking sheets with parchment paper or spray with cooking spray. 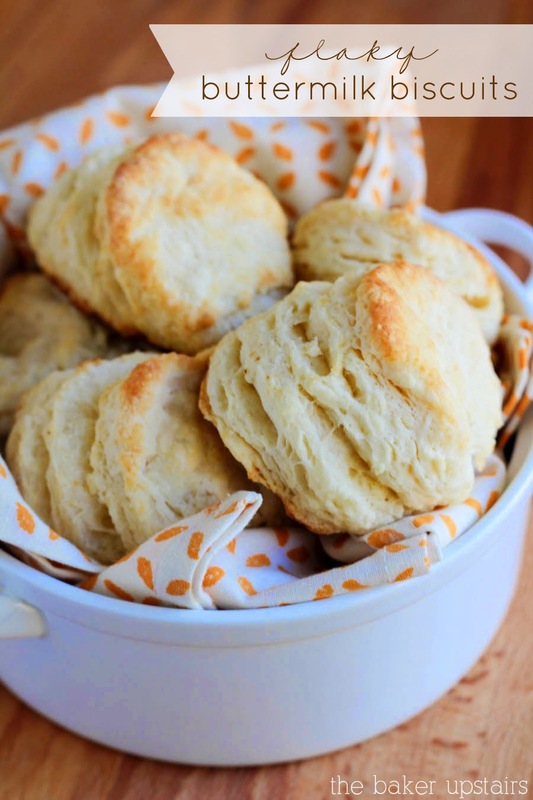 In a large bowl or the bowl of a stand mixer, cream together the butter and sugar until light and fluffy. Add the egg and vanilla and mix well to combine. In a medium bowl, whisk together the flour, cocoa powder, salt, baking powder, baking soda, and cream of tartar. Add the dry ingredients to the wet ingredients and mix to combine. Fold in the creme de menthe baking chips and the mini chocolate chips. Roll the dough into one inch balls and place 1 1/2 - 2 inches apart on the baking sheet. Sprinkle each ball of dough with a few extra mini chocolate chips. Bake 8 minutes, then remove and let cool on the baking sheet for 10 minutes before removing to a cooling rack. 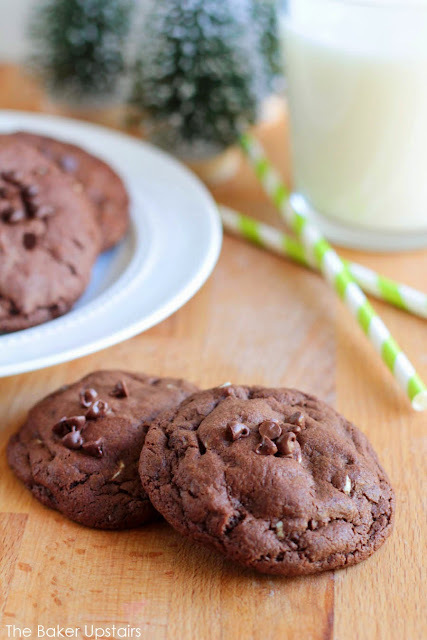 These cookies are my favorite when they are still a little warm and the chocolate chips are slightly melted. Enjoy! Click here to download a $1 off coupon for any Bob’s Red Mill product, and best of luck to you in all your holiday baking! Happy Monday! I'm so happy that fall is finally in full swing around here. The weather is crisp, the leaves have turned, and (gasp!) I actually had to turn on my heater last week. All signs point to soup season! 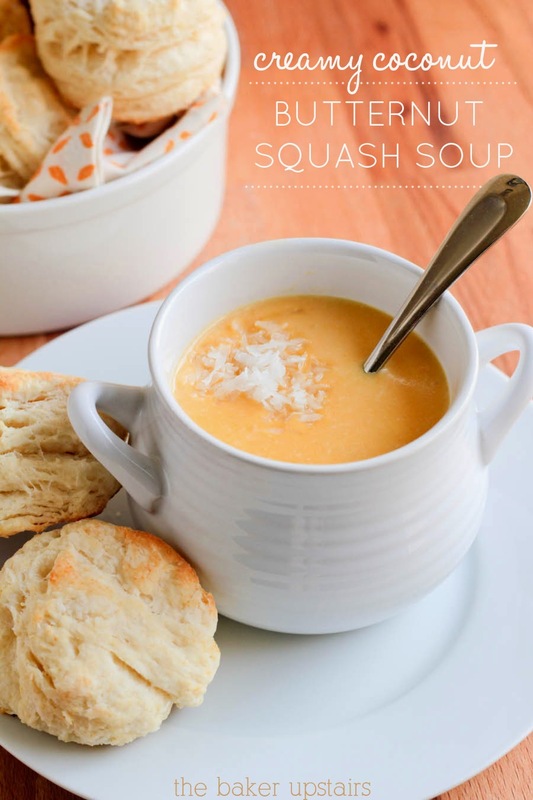 This creamy coconut butternut squash soup is a new favorite for me, and is so delicious! There's a cute little french cafe not too far from us that Geoff and I have been to a few times, and they have the most divine, out of this world butternut squash soup. It is one of my very favorite foods in the world! 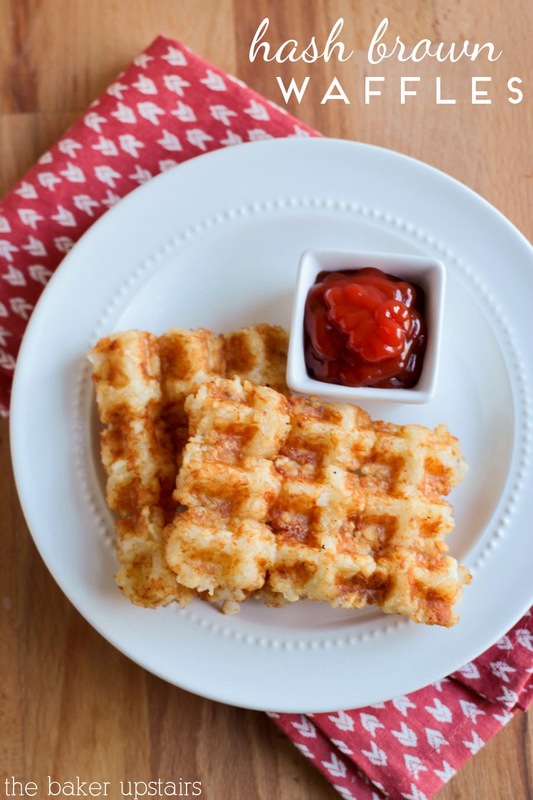 I've been wanting to try a version at home, and when I stumbled across this recipe (which looked super easy and used ingredients I already had on hand) I knew it was meant to be. It's not the same as the soup I usually order at the cafe, but it is a good substitute and incredibly flavorful, as well as being reasonably healthy! I served it with the biscuits I posted last week and got a thumbs up from both girls and the hubs as well. I can't stop thinking about it and will definitely be making it frequently this winter. Yum! In a large pot, melt the butter over medium heat. Add the onion and garlic, and cook until fragrant. Add the chicken broth, squash, and sweet potato, and bring the mixture to a simmer. Simmer 20-25 minutes, or until the potatoes and squash are tender and easily pierced with a fork. Blend the mixture using an immersion blender or by blending in batches in a blender (leave an opening for steam to escape). Return to the pot and stir in the coconut milk, half and half, salt, cumin, and coconut. Warm until heated through. Serve with extra coconut for garnish. 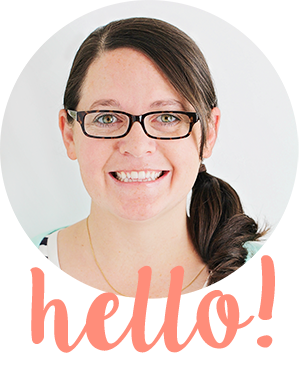 I have another super easy dinner idea to share with you today! Because, well, that seems to be the only kind of dinner I can scrape together lately. 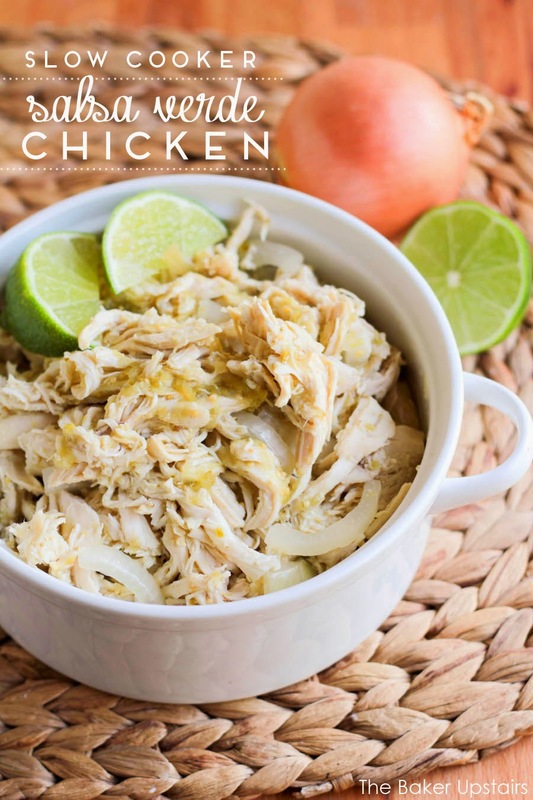 This slow cooker salsa verde chicken is incredibly easy to make (only 4 ingredients!) and is super versatile. We used it for tacos with cheese, salsa, sour cream, and lettuce on top, but it would also be delicious in enchiladas, burritos, mexican casseroles, etc. This recipe was enough for three meals for my little family, so I put the extra in the freezer for another day (when I'm feeling even lazier or have even less time to make dinner). I have some serious love for tomatillos, so I'm kind of crazy about the salsa verde. I'm sure any salsa would be delicious in this, though. I love how simple and easy it is, and my whole family loved their tacos! Pour a small amount of salsa into the bottom of the slow cooker. Place the onions on top, followed by the chicken breasts. Pour remaining salsa over the top, reserving about 1/4 cup. Squeeze lime juice over the top. Cover and cook on low 4-6 hours. 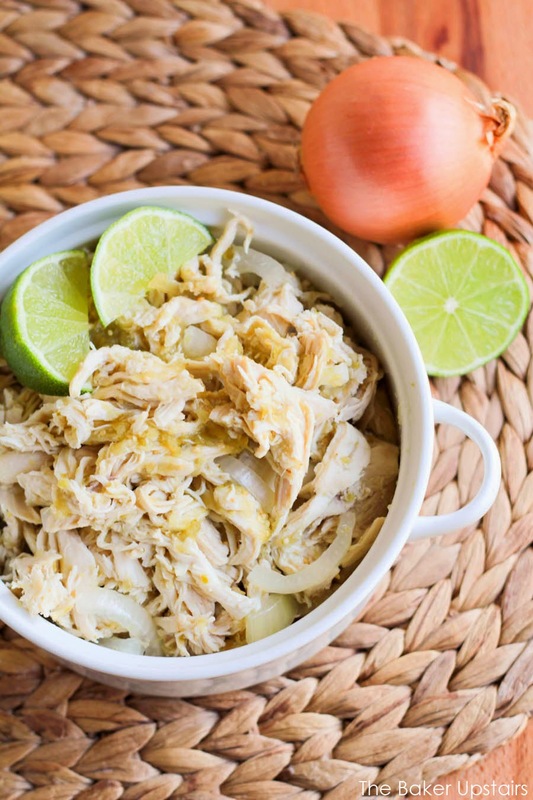 Shred the chicken using two forks and toss in the cooking liquid. Stir in the remaining 1/4 cup of salsa. Use for tacos, burritos, burrito bowls, or enchiladas. Enjoy!